Apple has finally announced the much-awaited iOS 11 at 28th WWDC 2017. Packed with brand new features like redesigned control center, App store and more. This version it to be claimed the biggest update ever to give you a much better user experience. Apple has released the beta version of iOS 11 for the developer. The public beta version will be released soon. iMessage has become more discoverable and synced with iCloud. Hence your conversation will synced across devices. Siri has been powered up to carry out more visual stuff. Virtual assistant can do translation now. It supports to only few languages like English, French, Chinese, German, Italian, Spanish. With the use of “on-device learning,” it suggests many things like news articles, responding to your location, or make a calendar location. iOS 11 also added new features like HEVC video encoding. It will take less storage space. JPEG will be replaced with HEIF. It will come with much more improved image quality. You can trim the live photo. Besides, you will be able to choose any part of the video as the key photo. Lock screen and notification center have been combined now. The Notification center looks very much like the lock screen when you swipe down. There is indoor maps for malls. Which will provide speed limits and lane guidance while navigating. CarPlay will come with a very handy feature, While driving, “Do Not Disturb” mutes all incoming notifications and lets people know that you’re driving and will get back to them later. It is gaining a new Speaker category, which will allow speakers to be controlled from the Home app, and with a new AirPlay2. feature, multi-room audio is available. Speakers with AirPlay 2 support can be controlled using Control Center, the Home app, or Siri. Here are new options for sharing music with friends. Users can create playlists for friends to access, and they can access their friend’s playlists. It has got great update in iOS 11, so that it can provide much faster app review. Now, App Store shows up”Today” tab to let you navigate through your favorite apps fast. Games have got separate tab so that you can explore games faster. The in-app purchases have become more easy-going now. Apple News has been redesigned like the other apps here, it becomes cleaner and simpler. Now there is also a ‘Breaking news’ notifications from the app. You can toggle the feature from the app’s settings and even custom-tune the publications you wish to see push notifications to your device. You can access paid subscriptions, where you can read an unlimited amount of articles from various publications. Person to Person with Apple Pay Payments. What makes the newest iOS version stand out is “The revamped Control Center, elegant Lock Screen, and Notification Center. The files app and drag and drop feature for iPad have made it exceptionally user-friendly now”. 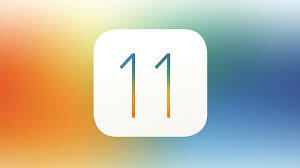 Besides, it has got more speed and said to run more smoothly than any other iOS versions. The new iOS 11 update will be available for iPhone 5s and later, all iPad Air and iPad Pro models, iPad 5th generation, iPad mini 2 and later and iPod touch 6th generation. What’s your opinion on iOS 11? Has it lived up to your expectation? So, stay tuned with us to know more about it.